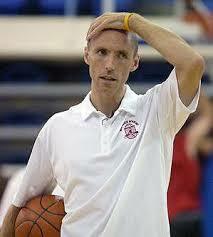 Next Coach Of NJ Nets Wins College Championship And Won’t Let Door Hit Him On The Way Out! Earlier today, we heard Mike Krzyzewki say “nyet” again to the rumors that the Russian tycoon soon to own the NJ (aka Brooklyn) Nets would lure him to the NBA with an offer of up to $15 Million dollars per year. Months ago, we heard Andy Reid say Donovon McNabb would be back with the Eagles next season. We all know how that turned out. So. Don’t be too surprised if good old Coach K ends up in Newark and/or Brooklyn before too long. Here’s why. He’s up there in basketball years. He’s 63. He’s done it all on the college level. Duke hadn’t been to a national title game in something like six years. But, the Blue Devils are back on top now. What better time than now to leave. He’d leave as a winner. He’d end up with a contract that would take him into retirement with a literal fortune. Most important and seductive. Coach K would get a shot at finding out if he can do it on the very highest level the game has to offer. And that, my readers, will be the thing that ultimately drives him to leave Duke. NBA Stars Pull Guns On Each Other! You Gotta Love It! Who Who says 2010 won’t be a great year! I just came across what probably will be the greatest sports story of the year and possibly the decade. 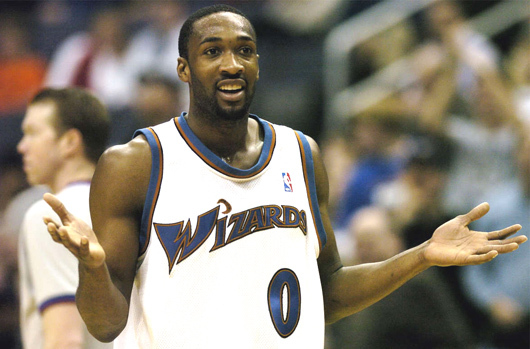 Washington Wizards teammates Gilbert Arenas and Javaris Crittenton may have pulled guns on each other in the Wizards’ locker room. According to the report I read on MSNBC.com, the incident either happened on December 21 or December 24. Nice way to celebrate the holidays, guys! 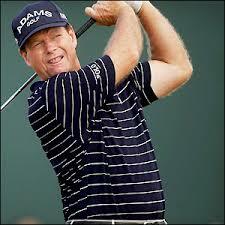 Anyway, according to the reports I read, Crittenton was upset over some gambling debts he felt Arenas owed him. When Crittenton confronted Arenas, Gilbert was reported to pull his gun on him. The response? Crittenton pulled his gun on Arenas. For whatever else you may think about Arenas, clearly this guy is no pro with a gun. Isn’t the whole point of pulling a gun on someone to make sure they don’t pull one on you? I’ve watched a lot of movies and even read some books, so I’m pretty sure that if I pulled a gun on someone I’d mention something to them about “freezing”. Like, you know, staying where I can see you so that you CAN NOT pull a gun on me. Apparently, Arenas missed that lesson. Maybe he was busy practicing his jump shot or gambling. Whatever. The NBA will be dealing with a whole host of questions here. Like, how did either of these idiots get a gun into an NBA locker room? To me the bigger question is why would Arenas, who makes gazillions not just pay Crittenton the money he owed him? All that will be answered in time, but for now recently deceased owner Abe Pollin must be in the afterlife somewhere disappointed that two of his Wizards are living up to the old team nickname that he changed due to worries about gun violence in DC. PS – reportedly, Arenas has even been tweeting about in on Twitter. Nothing beter than self-incrimination to start off the new year! Good Riddance To Allen Iverson! So “The Answer” is retiring and I have yet to figure out what the question was. Ahhh. Yes. That easily could be Allen Iverson. Iverson is not exactly Stephon Marbury, but he’s learning a similar tough lesson. In life or at least in NBA life, people will put up with you if you’re a difficult personality so long as you’ve got the talent that makes it worth dealing with your baggage. When the lowly Grizzlies and desperate Knicks decide that Allen Iverson is no longer worth it, that’s the answer that only A.I. can answer for.